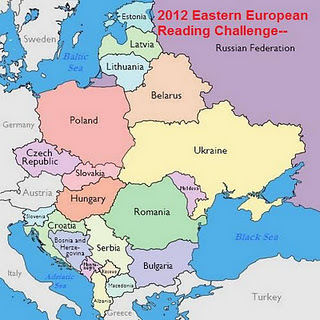 When I was recapping my reading challenges for 2011 earlier this week, it became clear to me just what a wonderful time I’d had participating in the Eastern European Reading Challenge. I did not reach my goal of reading twelve books – I managed eleven – but I learned so much and discovered some truly amazing authors who I had never tried before. The challenge is being continued into 2012 and it didn’t take long for me to decide to continue with it. 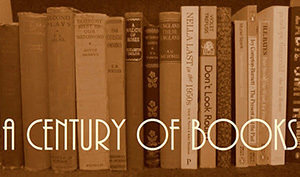 I will again be aiming for the Scholar level (12 books). Participates must choose titles about or by an author from any of the following regions: Croatia, Ukraine, Bosnia, Serbia, Montenegro, Hungary, Belarus, Estonia, Albania, Bulgaria, Georgia, Slovakia, Slovenia, Poland, Czech Rep., Latvia, Lithuania, Russia, Romania, Moldova, and Kosovo. Ideally, I’d like to read 6 fiction and 6 non-fiction books for the challenge but I won’t hold myself to that. As always, the most important thing is to enjoy what books I do choose. Of course the highlight of signing up for any challenge is creating a book list and I’m quite proud of this one (look! It has categories!). If you’re interested in joining the challenge and looking for more ideas, you can also check out my initial list from when I signed up and my list of what I actually read (there is shockingly little overlap between the two). If you have any suggestions of books that would work for this challenge, ones you’ve read or even just heard of, please let me know! I’m always looking for new ideas. The story of three unforgettable women whose destinies are tangled up in a family dynamic that is at turns hilarious and tragic. Dubravka Ugrešić takes the story of Baba Yaga and weaves it into something completely fresh. The result is an extraordinary meditation on femininity, ageing, identity, secrets, storytelling and love. An unrivaled portrait of the vanished world of pre-1914 Hungary, as seen through the eyes of two young Transylvanian cousins, Count Balint Abady and Count László Gyeroffy. Here is a novel which inquires: What if your id (loyally keeping your name) decides to strike out on its own, cuts a disreputable swatch through the world, and then sends home to you all its unpaid bills and ruined maidens? And then: What if you and your alter ego decide to write a book together? Joseph Roth’s classic saga of the privileged von Trotta family encompasses the entire social fabric of the Austro-Hungarian Empire just before World War I. The author’s greatest achievement, The Radetzky March is an unparalleled portrait of a civilization in decline, and as such is a universal story for our times. Hašek’s most important work was centered around the deeply funny story of a hapless Czech soldier in the Austro-Hungarian army — dismissed for incompetence only to be pressed into service by the Russians in World War I (where he is captured by his own troops). A mischief-maker, bohemian and drunk, Hašek demonstrated his wit in this classic novel of the Czech character and preposterous nature of war. Nina Berberova portrays a very specific generation––one born in Russia, displaced by the Revolution, and trying to adapt to a new home, Paris. Three sisters––Dasha, Sonia, and Zai––share the same father, Tiagen, an attractive, weak-willed, womanizing White Russian, but each thinks differently about her inner world of beliefs and aspirations, and consequently each follows a different path. Eighteen tales from Slovenia tell of clever and magical animals, beautiful princesses, brave princes, ogres, and demons. It is an old, old tale, the German story of Briar Rose, the Sleeping Beauty. Now one of America’s most celebrated writers tells it afresh, set this time in the forests patrolled by the German army during World War II. A tale of castles, of mists and thorns, of a beautiful sleeping princess, and an astonishing revelation of death and rebirth. A sweeping epic of Russia from the last days of the Tsars to today’s age of oligarchs. A brilliantly imagined novel about war as experienced by ordinary people, and a profoundly moving celebration of love, life and survival. Andrzej Stasiuk is a restless and indefatigable traveller. His journeys – by car, train, bus, ferry – take him from his native Poland to small towns and villages with unfamiliar yet evocative names in Slovakia, Hungary, Romania, Slovenia, Albania, Moldova and Ukraine. Ota Pavel’s magical memoir of his childhood in Czechoslovakia. The author leaves behind a successful career as an American financial analyst to pursue Ales Debeljak, a womanizing Slovenian poet who catches her attention at a cocktail party. The story begins in New York City, but quickly migrates, along with the author, to Slovenia. As she struggles to forge an identity in her new home, Slovenia itself undergoes the transformation from a communist to a capitalist society. Golden Prague seemed mostly gray when Patricia Hampl first went there in quest of her Czech heritage. In that bleak time, no one could have predicted the political upheaval awaiting Communist Europe and the city of Kafka and Rilke. Hampl’s subsequent memoir, a brilliant evocation of Czech life under socialism, attained the stature of living history, and added to our understanding not only of Central Europe but also of what it means to be engaged in the struggle of a people to define and affirm themselves. An intimate and revealing portrait of pre-Revolutionary Russian society which, contrary to received wisdoms, reveals a complex, liberal and humane society, full of enormous potential and past achievement. It is also the biography of five intrepid women who, by travelling abroad and working as governesses in Russia, achieved an intellectual dignity, a purpose and an authority which was denied them in their homeland. Beginning in the eighteenth century with the building of St. Petersburg and culminating with the Soviet regime, Figes examines how writers, artists, and musicians grappled with the idea of Russia itself–its character, spiritual essence, and destiny. A dramatic account of life in Czechoslovakia’s great capital during the Nazi Protectorate. The brutal murder of the Russian Imperial family on the night of July 16–17, 1918 has long been a defining moment in world history. This book gives a riveting day-by-day account of the last fourteen days of their lives, as the conspiracy to kill them unfolded. On 4 June 1989 the Communist regime in Warsaw collapsed as Solidarity won the election, 12 days later Imre Nagy was buried in Budapest, 31 years after his execution. The Berlin Wall came down and in Prague, Vaclav Havel masterminded the Velvet Revolution. Timothy Garton Ash was witness to all these events. The Czech Reader brings together more than 150 primary texts and illustrations to convey the dramatic history of the Czechs, from the emergence of the Czech state in the tenth century, through the creation of Czechoslovakia in 1918 and the Czech Republic in 1993, into the twenty-first century. I’m in awe of your list. It makes me realize how Anglo- and American-centric my reading is – and then the first book I want to look for is When Miss Emmie was in Russia. I’ll be reading your posts with great interest, and learning a lot I’m sure. Even I am impressed by this list, Lisa! My reading tends to focus on English authors, as you know, which is why this challenge is such a perfect opportunity for me to read outside my comfort zone. I’m very excited to read some of the fiction in translation but, like you, I think When Miss Emmie Was in Russia sounds irresistible! I’d recommend adding Medea and Her Children by Ludmila Ultiskaya to your list! It’s a multigenerational kind of story set in Crimea. Thanks for the suggestion, Eva! THE BALKAN TRILOGY by Olivia Manning and based on her life in Romania during WWII. Some of the places were still there and operating when I lived in Romania in the early 1990s. Some behaviors that she saw as typically Romanian were still present too, even after 50 years of communism. Good stories, too. Thanks for the recommendation, Ruth! I started this for the challenge last year but never finished and am excited to get back to it.